Your Mac computer is an important investment. You may be using it for work, business, or even for personal use, but however it is being utilized, it has to be protected from offline and online threats. When it comes to online threats, your most important ally is your antivirus software or Internet Protection. Hence, it needs to be excellent enough to provide sufficient layers of protection to your information, files, media, and even your hardware. 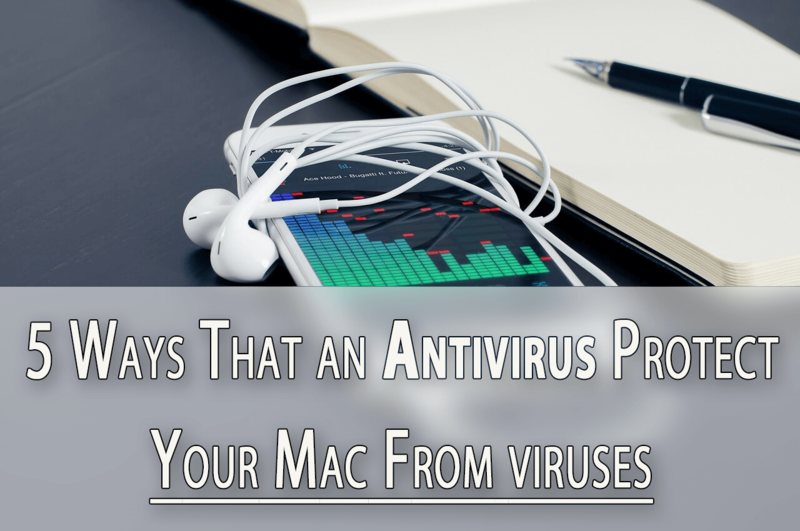 If you are not satisfied with the current antivirus you have for your mac, it is time to look for something new before problems arise. Check out this for a list of excellent antivirus software available in the market today. After the attack of Ransomware and other big threats, the data of big companies are getting wiped and stolen so, if you’re unaware of the Virus or other online Threats and malware then you should read this post completely to know how an antivirus software can protect your Mac from the Viruses and attacks. There are some great antivirus and internet security software available in the market you can purchase according to their ratings and popularity because an Antivirus is an essential program that must installed on your mac so ensure that you have a good and high-security antivirus before using the Internet and also make sure that your Antivirus’s definition is up to date. It is necessary to update your antivirus regularly for protection from the virus and malware. But generally Some expert says that Mac is based Unix, actually, I really don’t know, and Unix is same as Linux, so the virus can’t access your files if you’re using Linux or Unix operating system, but for security, you should you an antivirus to protect your files and important data. A lot of virus and malware are sent as an attachment to an email and your antivirus software is there to protect you from it and its effects. Emails with suspicious attachments or those detected to contain virus or malware are not opened but rather quarantined for further action from you. Your Mac will benefit from this, especially if you use it for business purposes. Some viruses, malware, and other threats come from some online sites that immediately pops up and redirects when visiting a particular site. These threats are often triggered when downloading a particular file or application. In some cases, downloads are automatic when you land on the site. The antivirus will prevent the download from completing and then quarantine or remove the threats totally. Your mac can be susceptible to identity theft and spyware initiated by hackers and people who want to steal sensitive information about you, especially identity and financial information. A decent antivirus will provide a strong band of protection that will prevent these threats from entering your systems, blocking entry attempts, or removing it immediately when it makes through the firewall. This is very important as victims of identity theft are often left in bad situations. Spam messages are frustrating and annoying. They populate your emails with non-sense stuff that will bury down important messages as they come along. What most people don’t know is that spam may possibly come from a virus that instantly sends them out whenever or wherever you log in. An antivirus software will prevent these messages from going through or continuing. Some viruses enter through application upgrades and updates, which is why regular antivirus updating is highly important. With a decent antivirus on your mac, you are sure that your hard drive is regularly scanned and cleaned for the virus, malware, and other problems. The importance of an antivirus software and the enormous benefits you can get from it is more than worth your investment. Do not settle for cheap but non-performing antivirus products, choose the best protection you can get. And also Keep your firewall always On, to maintain the security level of your Mac and avoid the malware attacks, if you’ve really enjoyed this post and think that this post help you to gain some useful knowledge then do share this post your social networking profiles to let other peoples know about the ways that decent antivirus protection can help protect your Mac from viruses, malware, and other online threats, and don’t forget to subscribe this blog for more useful information about tech, stay tuned. Thanks for sharing Great information with us. Best wishes for your next Goal. This is really an amazing article.